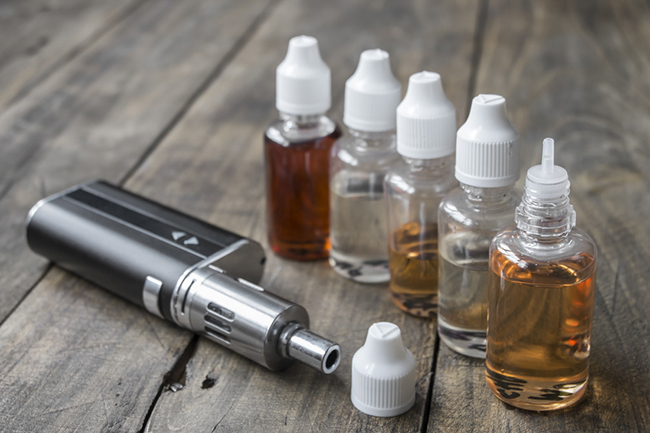 A new study published in JAMA Pediatrics looked at whether vaping higher amounts of nicotine caused teens to vape and smoke in higher amounts in the future. The study, which surveyed 181 sophomore high school students, found that with increase nicotine use in vaping pens, teens were more likely to report frequent smoking. The study found that teens that smoked a high-nicotine liquid (18 milligrams per milliliter or higher), smoked seven times more cigarettes than teens that vaped liquid with no nicotine. Another study was recently published in the Canadian Medical Association Journalfrom the University of Waterloo that found a “strong and robust” linkage between vaping and future cigarette use. Researchers surveyed over 44,000 Grade 9 to 12 students in Ontario and Alberta and found that students that vaped were significantly more likely to begin smoking cigarettes within a year. Lead research, David Hammond said, “Youth may be trying e-cigarettes before smoking because they are easier to access.” He noted that it is illegal to sell tobacco to minors in Canada. Meanwhile, nicotine-containing vape pens and e-cigarettes are easily obtainable online or in vape stores. These studies appear to point to a link between vaping nicotine being associated with a future use of cigarettes. Hopefully in the future, it will be possible to protect our youth from future nicotine addiction by strengthening the laws around the sale of nicotine vape pens and e-cigarettes. For now, it appears clear that teens that choose to indulge in nicotine through vaping are susceptible to future cigarette use. Prevention Plus | ©2019. All Rights Reserved. Marketing and Website by Circle Marketing.